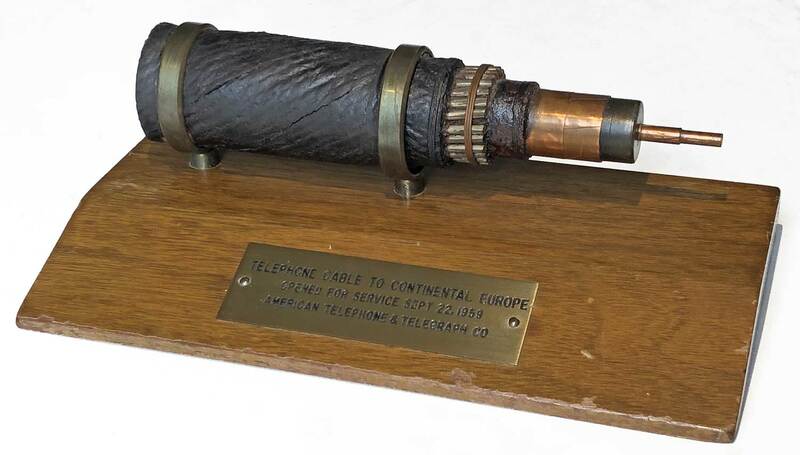 Following the success of TAT-1, opened in 1956 between Canada and Britain, the second repeatered Atlantic cable, TAT-2, was laid in 1959. 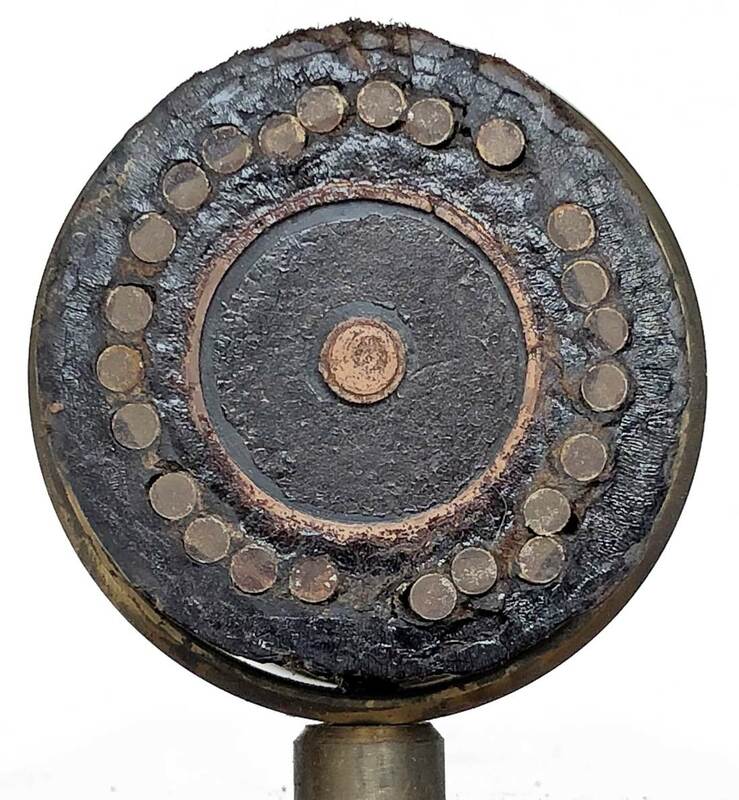 The cable was manufactured by four companies: Submarine Cables Ltd (1900 nm), Simplex Wire & Cable Co. (600 nm), Norddeutsche Seekabelwerke (1000 nm), Cables de Lyon (1000 nm). A project of AT&T, the French PTT, and the German PTT,	the cable was laid by CS Monarch (4) and CS Ocean Layer, with CS Ampere (3) laying the French shore ends. After the loss of CS Ocean Layer following a fire during the lay, CS John W. Mackay assisted with the completion of the cable. 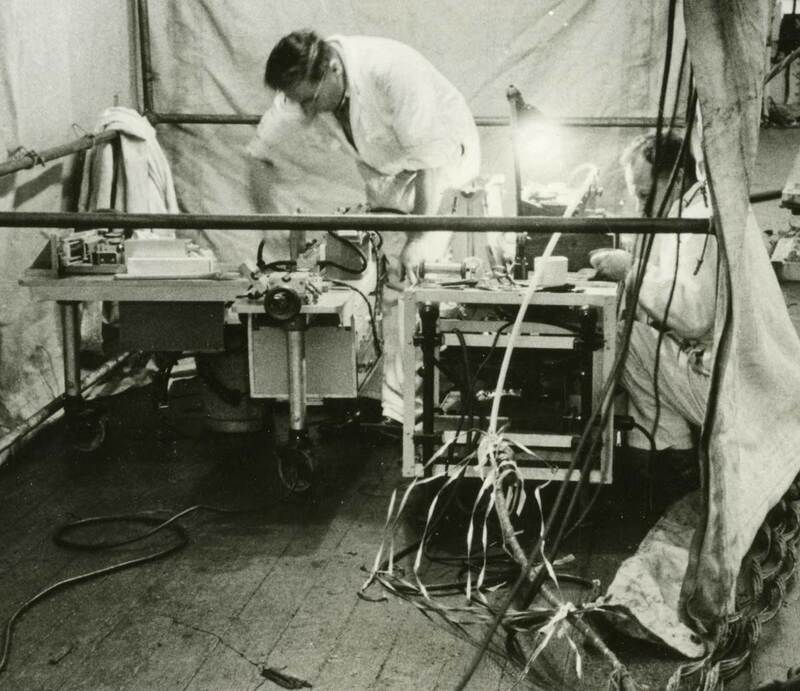 As with TAT-1, two cables were laid, one eastbound, one westbound, providing 48 telephone circuits. The cables ran from Penmarc’h, France to Clarenville, Newfoundland (2,209nm) and Clarenville to Penmarc’h ( 2,194nm). Unidirectional flexible repeaters for the main run were made by Western Electric, with 57 in each leg spaced at 38nm intervals. Technically the system was almost identical to TAT-1; both cables were 0.620" coaxial armoured. System capacity was initially 36 x 4Khz / 48 x 3KHz voice channels, eventually upgraded to 60 x 4Khz / 80 x 3KHz channels. In an unusual circumstance, before the newly laid TAT-2 was opened for service in September 1959, its eastbound circuit was used as an emergency backup for one leg of TAT-1, which on 23 July 1959 suffered damage to its eastbound deep-sea section at a distance of about 62 nautical miles from the eastern terminus at Oban, Scotland. It took less than 12 hours of overnight work to put TAT-2 into service for this purpose, and TAT-1 was repaired just three days after that, so there was very little disruption to transatlantic telephone traffic. From Newfoundland the route continued via a cable across the Cabot Strait to Nova Scotia using STC/SCL rigid bidirectional repeaters, and from there the signal was carried by a microwave relay chain to New York. In Europe, new land connections were made to extend service via Paris to Belgium, the Netherlands, Switzerland, Germany and Italy. TAT-2 was in service from 1959 to 1982. Although TAT-2 used the latest technology, some operations were performed very much as they had been for the previous hundred years. 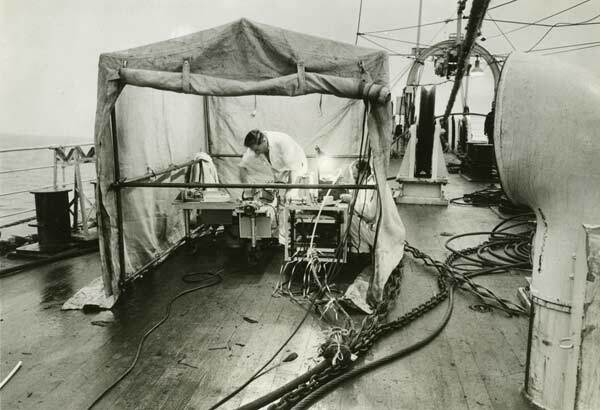 This AT&T press photograph shows the making of the final splice on the deck of CS Monarch (4) off the coast of Nova Scotia in September 1959. Final splice of transatlantic telephone cable system was made aboard cableship Monarch off Sydney Mines, Nova Scotia. Technicians in tent on deck of vessel carefully joined a shore-end section of cable at Sydney Mines to cable just placed across Cabot Strait from Terrenceville, Newfoundland. Splice was x-rayed three times to insure a perfect joint and to locate any foreign matter that might have worked its way into the joint. Partners in the project were American Telephone and Telegraph Company, French Ministry of Posts and Telecommunications and German Federal Ministry of Posts and Telecommunications.